It’s so rare when you like a photograph of yourself! I love this one. 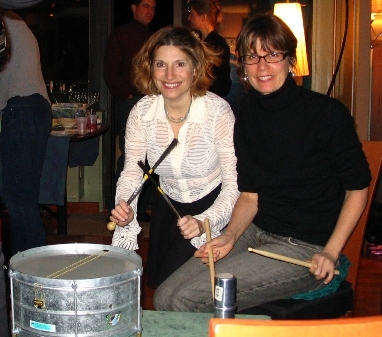 This is me and my friend Ellen Cooper (much better drummer), drumming at her party. I’m actually drumming on a ottoman, I think. Because drumming on the drums was too loud.